Producing engaging content which includes video, written word and imagery with storytelling as a key element is a vital component in all sales, marketing, publicity and communication strategies. It is essential your brand develops a clear, concise and cohesive voice to grab the attention of your target audience. 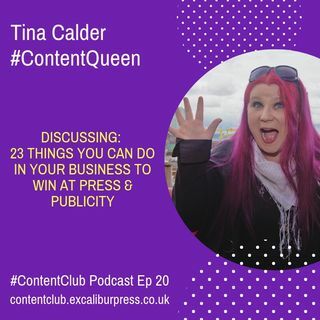 If you want your brand to cut through the noise you need to get yourself into the spotlight and the easiest way to do this is to attract the right attention from the press. Media ... See More coverage is an important part of promoting your brand but you’re competing against thousands of other businesses who are also seeking their place in the press. If you want the spotlight to fall on you, your brand, or organisation then you must act to make yourself as visible and accessible as possible.